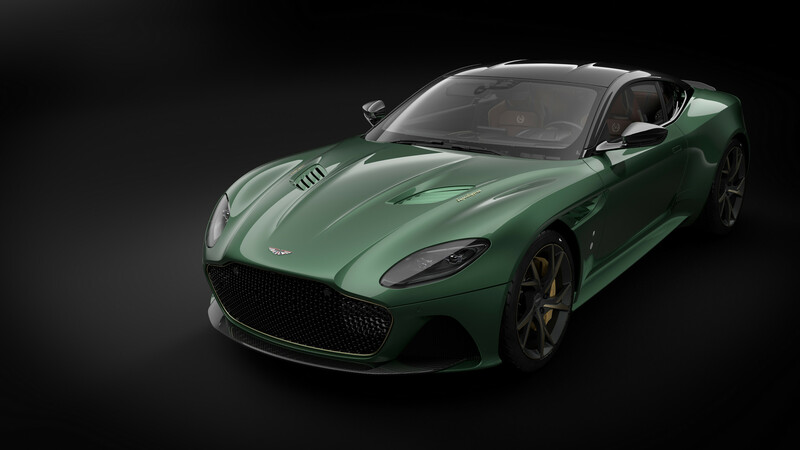 Aston Martin have announced the production of a special edition DBS Superleggera to commemorate thw SBR1’s win at the 24 Hours of Le Mans. The unique model has been put together by Aston Martin’s Q by Aston Martin division and was ordered by Aston Martin Cambridge. 24 will be made available. 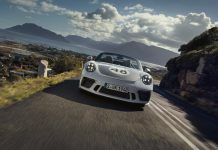 The collection of 24 cars will be known as the ‘DBS 59’. There will be one for every hour of the race! It carries a bespoke colour and trim palette with details which evoke the race winning car. Just 5 of the DBR1’s were built with the last one commanding a price of £17.5 million at auction last year. 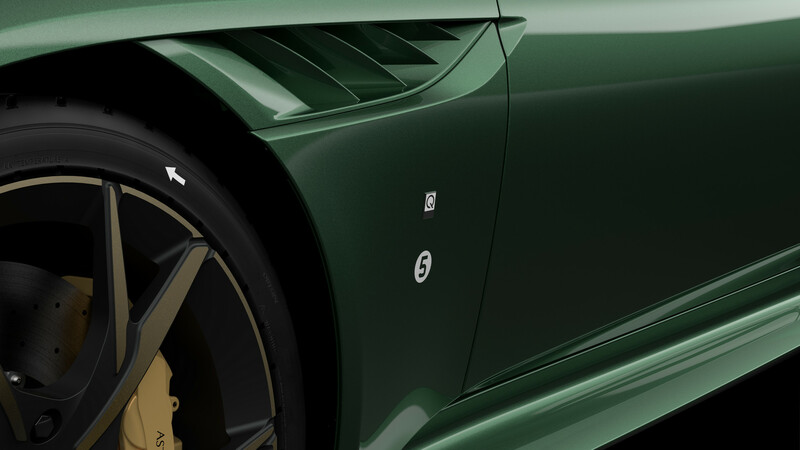 The DBS 59 gets a bespoke Aston Martin Racing Green paintwork, replicating the car upon which it is based. In a modern twist, the DBS 59 makes extensive use of gloss finish Carbon Fibre. The roof, roof strake and painted bonnet louvres are a few examples. Inside, the leather is a combination of Obsidian Black and Chestnut Tan leather is used throughout the interior, together with fabric inspired by the DBR1 seat material used to trim the ‘DBS 59’s’ seat backs and door inserts. Bronze detailing has been applied on both the outside and the inside with the badging also including the colouring. 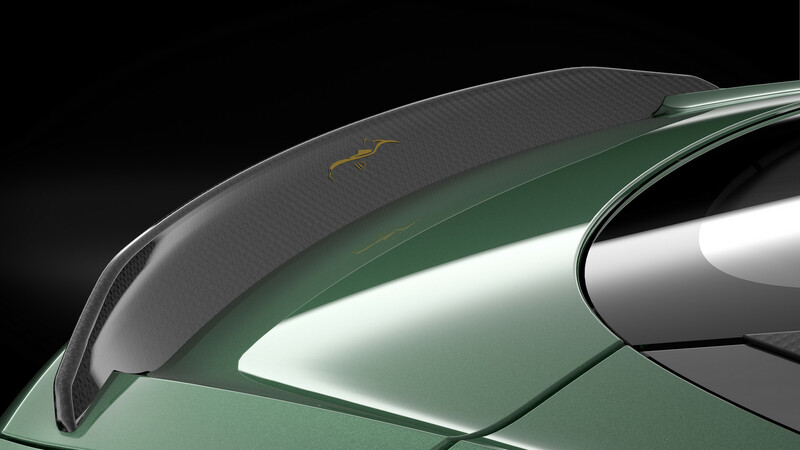 Additional Q by Aston Martin detailing includes a bespoke Saddle Leather Helmet Pod for the rear compartment. It holds a special ‘DBS 59’ crash helmet, race suit and gloves. Each of the ‘DBS 59s’ use a small painted white roundel to identify which number in the series it is. Being based on the new DBS Superleggera, the DBS gets a 5.2 litre V12 engine with 720 hp and a 340 km/h top speed. 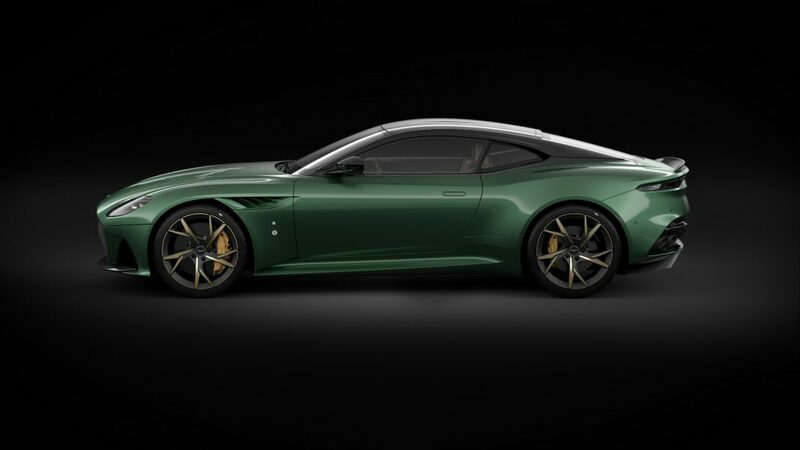 Aston Martin Cambridge have also previously commissioned three other Q by Aston Martin bespoke projects including; the Red Arrows Edition Vanquish S, the V12 Vantage S Spitfire 80 Edition and the Vantage S Blades Edition. 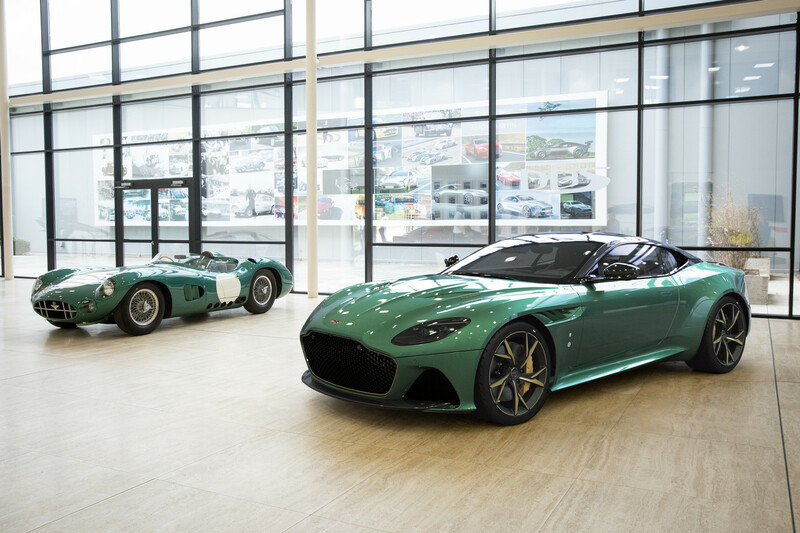 Aston Martin Vice-President and Chief Marketing Officer, Simon Sproule said: “When Aston Martin Cambridge expressed a desire to create a limited run of DBS Superleggeras inspired by the DBR1’s famous Le Mans victory we knew it had to be something special. 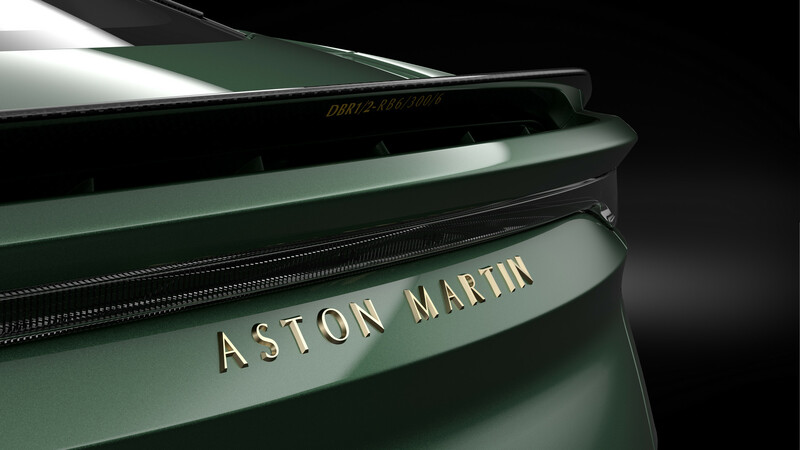 The soft metallic hue of the Aston Martin Racing Green paintwork is classy and timelessly beautiful; the level of thought and detailing is exceptional. My favourite element on the ‘DBS 59’ are the seat backs that feature fabric inspired by the DBR1 seat material, but there are countless touches that will intrigue and delight”.